Stonehenge is arguably the greatest prehistoric monument in western Europe; as a World Heritage Site it ranks in significance with such sites as the Acropolis of Athens, the Pyramids of Giza, Great Zimbabwe and Machu Picchu. Stonehenge sits at the heart of a landscape rich in other monuments and remains of the Neolithic period and Bronze Age that are also part of the World Heritage Site. Recent research by English Heritage’s landscape archaeologists within the Stonehenge World Heritage Site has led to the identification of previously unknown sites and, perhaps even more importantly, the re-interpretation of known sites, including Stonehenge itself. This work has been carried out alongside recent and on-going independent research initiatives conducted by a number of academic institutions, involving international co-operation. This book presents the most significant findings of the English Heritage research and shows how it integrates with the results of work undertaken by colleagues in other research bodies. It traces human influence on the landscape from prehistoric times to the very recent past and presents an up-to-date synthesis of the results of recent fieldwork. It will be of value to anyone interested in Stonehenge itself, in megalithic monuments, in the Neolithic period and Bronze Age of Europe and in the historic evolution of chalkland landscapes. Mark Bowden is based in the Historic England Archaeological Survey and Investigation team. Sharon Soutar is a Technical Survey and Graphics Officer at Historic England. Martyn Barber is an Aerial Interpretation and Mapping Investigator at Historic England. ... a volume of meticulous fieldwork, beautifully illustrated, documenting the physical evidence in the landscape of earthworks, aerial photography and geophysical survey. ... 'The Stonehenge Landscape' to be am admirable piece of work. Gorgeous photographs accompany the most beautiful, subtle maps that will retain their value for generations. ... If the illustrations are the glory of this book, the text and the up-to-date summary of Stonehenge and its surrounding monuments are admirably clear and succinct. If you are interested in Stonehenge this publication is a must-buy. If you are interested in the historic landscape, ditto. If you like beautiful books this one will grace your library. 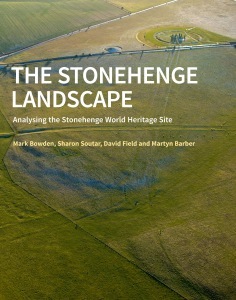 The challenge that the authors of 'The Stonehenge Landscape' faced was the need to treat all aspects of the archaeology and historic landscape equally and this they have done admirably ... an excellent study of a whole landscape ... extremely impressive. ... the laudable aim of this volume - successfully realised in a notably well illustrated and accessibly written text - is to present an up-to-date overview of current understanding. ... it is a significant new addition to scholarship. ... on-the-ground understanding shines from every page.